One of the best ways to find information, meet fellow travelers or find answers to the little questions is to use travel forums and see what everyone is talking about. I spent several days looking at these "boards", answering questions, reviewing information and monitoring the frequency of posts by members. I still spend several hours per week hopping around on the good ones. 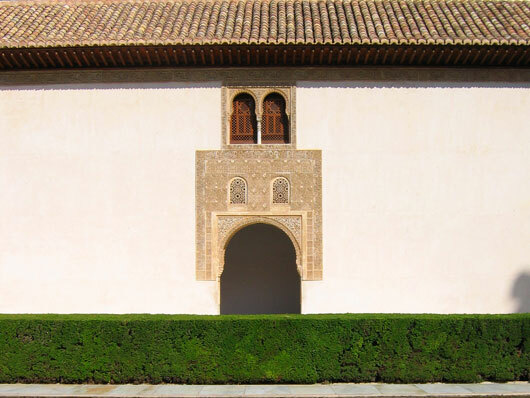 Those getting higher marks have more information on Granada or Andalucia and a higher frequency of posts and answers from fellow members. Some sites think a forum is a way to build community, and it certainly is if you know what you're doing. But many launch a forum without thinking - there is nothing worse than a dead forum. A lack of posts and replies to your questions means you won't be coming back. Below are some quick reviews. Geographic based forum only, but you can drill down to country, region and city. Check out the "Granada", "Andalucia" and "Spain" forums depending on your need. This was in general much better than the rest for information on Granada, although I think Trip Advisor (below) is making some inroads. You can also read most of the message from the index page of posts. Smaller and active community but not much in the way of new daily posts. You get responses fairly quickly, often times from people who live in the places you want to visit. Members also arrange Virtual Tourist Member meetings in various cities in the U.S., Europe and Asia. You can create your own travel page, and get information from others. While some of the navigation is a little clumsy, you have some nice tools, such as your own email address and inbox, as well as alerts to topics you have posted on. Geographic based. Broken down into countries, regions and provinces (ie: Spain > Andalusia > Granada). Daily posts and very active, with what looks like a good response rate to questions asked. I like the trip advisor site when looking up hotels, although I hesitate to throw all of my support behind user reviews of accommodations. This is not the best way to review a hotel - people with bad experiences are much more likely to post negative reviews, and working with some of the establishments in Seville I have seen a number of posts which are simply lies about the hotels and hostals. And as some hotels have found out, the ratings are easy to manipulate - simply make a reservation in your own hotel and then review it! Or don't, as they require no proof of whether you stayed in the hotel or hostal. An easy way to get good ratings, no? Still, the travel forum is generally separate from the hotel reviews, and while it is relatively young one has to like how active it is. Topic based forums. Looks a lot like Multimadrid's boards, from the topics to the software. Or maybe Multimadrid looks like theirs. But this is well worth stopping at. Profiles, search, and other tools make it a customizable experience and active posting and answers by MadridMan himself make it an ideal place to get the details on travel or a whole host of other topics. I'd recommend posting on this and Multimadrid and you'll almost definitely get your question answered. MadridMan is no in Spain and branching out to other cities. You will find BarcelonaMan and GranadaMan, plus a few more! Geographic and topic based forums in which you can search within Europe category for posts containing Spain (on a drop down) or by keyword. Active community with a lot of posts per day. Lack of community tools such as profiles, email alerts or private messages don't help. Frames layout is also not ideal. The frequency of posts helps make up for the lack of tools and extras. Fodors is, in general, for a more affluent market. Topic based forums on Europe only. Some helpful and "cute" topics they've chosen, but very frustrating that you can't drill down by country unless they've selected them, and then it's generally in the context of "Eating & Drinking" or "Planning & Packing". Less of a message board and more of a confusing format. I used to love the shows on PBS on Sundays and always tried to watch them. I know there is some great information on his site and in his books, but more and more I see complaints about his prices and information being outdated. Take his information on a general basis and I think you do better. For years he said to leave out Cordoba, or at least it was omitted from several guides. Is this still the case? Why would you do this? Maybe it has changed in the last year or so.